Bulk billing under 16 years & concession card holders. No Bulk Billing on Saturdays (unless under 16 years). 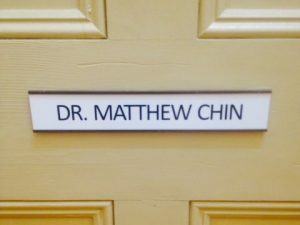 We are thrilled to warmly welcome our newest GP, Dr Matthew Chin. Dr Chin is able to take new General Practice patients. Call 7325 0301 for an appointment. Skin problems? Need a skin check? What is that rash? Is it a skin cancer? Need freshening up? 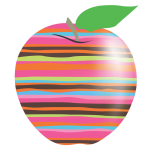 GP skin is co-located with Green Apple Medical Centre. Click on the box for more information. Since the beginning of time, lips have been synonymous with beauty. Even from our late twenties, our lips start to lose volume, structure and definition. Lip dermal filler is fantastic at restoring volume and defining the white-red border of your lips which gives a fantastic natural and fresh appearance. Children are not little adults…. Now I am really stressed…..
Register your bank account details with Medicare to receive your rebate payment. Visit www.humanservices.gov.au or call 132 011. NB: If you have a current government concession your consultations will continue to be bulk billed. The doctors and staff of this practice are committed to giving you ­our valued patient, quality care and service. We protect your privacy and treat all patient information including health and financial details as private and confidential. If you would like more information about privacy, or how to access your health record, please ask your doctor or see reception.